A chiropractor with specialized training in both the treatment and prevention of a sports injury can significantly help patients maximize function and minimize disability and time away from sports, work, or school. Approximately 90% of all sports injuries are non-surgical, so specialized, injury-specific treatments without the use of surgery or even medications can provide the athlete with significantly less recovery time. Additionally, a chiropractor trained to treat sports injuries can provide excellent resources for patients who wish to become active or start an exercise program. For the “weekend warrior” or “industrial athlete” who experiences an injury, the same expertise used for the competitive athlete can also be applied to return the individual as quickly as possible to full function. Sprain and Strain - A sprain is an injury to a ligament, the strong bands of tissue that connect a bone to another at a joint, whereas a strain is damage to muscle fibers and to the other fibers that attach the muscle to the bone. Tendonitis - More than 4 million Americans see a physician each year for tendonitis symptoms. If tendonitis is mainly a disorder of inflammation, it makes sense to find treatments designed to reduce inflammation. Chiropractic is a drug free, hands-on approach to lessening inflammation. 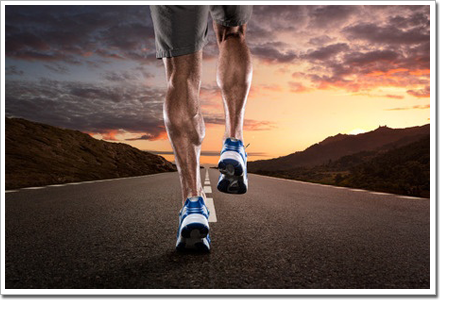 Shin Splints - The most effective way to recover from shin splints is to correct the underlying cause of the pain. Shin splints are often brought about by improper biomechanics of the foot and knee or misalignment of the ankle, hip or spine. Illiotibial Band Syndrome (IT Band Syndrome) -Through specific muscle work and condition-specific adjustments, we have been able to get athletes back into competitive shape for training and competitions. Our athlete-specific treatments address the inflammation behind the condition, as well as the soft-tissue injury, followed by addressing structural issues through adjustments. Frozen Shoulder (Adhesive Capsulitis) - Seeing an experienced chiropractor in Augusta GA for a non-invasive treatment and mobilization of the shoulder can restore movement and restore the ability to participate in daily activities once restricted by frozen shoulder. In particular, this is where chiropractic manipulation has an advantage over other specialties. Bursitis - The pain from bursitis is usually characterized as a dull ache or stiffness around the affected area. The inflammation that causes this usually stems from an injury due to repetitive use or pressure. We can specifically address the inflammation from the affected area, treating the source of bursitis at its source. Plantar Fasciitis - Because there’s little inflammation, anti-inflammatory drugs, like ibuprofen, are unlikely to aid in healing the problem. A recent patient, Jami, had made the long drive from Waynesboro GA to receive our plantar fasciitis-specific treatments, and in short period of time, she made a full and successful recovery with our treatments. Achilles Tendinitis - Laser therapy reduces the pain and inflammation and reduces the need for surgery and cuts the healing time for tendinitis by as much as 50%. Since Achilles tendinitis does not respond well to anti-inflammatory medications, we are able to more effectively treat Achilles tendonitis through our cold laser treatments. Golfer’s Elbow (Medial epicondylitis) - Golfer’s Elbow occurs with pain and inflammation on the inside of the elbow where the muscles that flex the wrist attach to the bone. Essentially, Golfer’s elbow is an inflammation, and similar to a condition such as Achilles Tendinitis, our specialized cold laser treatments can treat the inflammation. Thoracic Outlet Syndrome - The most common cause of thoracic outlet syndrome is pressure on the nerves or blood vessels that go to the arms. Patient Chelsea was encouraged to come to Georgia Clinic of Chiropractic for her Thoracic Outlet Syndrome. With our care targeted specifically for her condition, Chelsea is now doing great, and has resumed activities she previously was unable to do, such as lifting with her right arm. If you would like to find out how a chiropractor in Augusta GA that specializes in sports injuries may be beneficial for you, you can schedule a complimentary consultation. Many of our patients are referred by their medical doctors as well as physical therapists and personal trainers, and these patients are then able to resolve their sports injury through our injury-specific treatments, without the use of prescription medication or undergoing surgery. Additionally, we can provide recommendations on safe strength training and conditioning exercises. We have had great success in treating not only acute injuries (such as ankle sprains, muscle strains, knee & shoulder injuries, and fractures) but overuse injuries as well (such as rotator cuff and other forms of tendonitis, stress fractures). We are also able to provide ongoing communication with athletic trainers, coaches, school administration, and other providers involved in a patient’s care. If you would like to get started today with a complimentary consultation, you can call our friendly office at (706) 814-5053 or schedule your appointment online. We look forward to seeing if our customized treatments are the right fit for you and your condition. Augusta GA Chiropractor Georgia Clinic of Chiropractic provides customized treatments to Augusta GA, Martinez GA, and Evans GA patients. Visit the main website at www.georgia-clinic.com for a chiropractor in Augusta GA and a chiropractor in Evans GA.